Clashes erupted in the center of the Serbian capital, where protestors have gathered to condemn the arrest and extradition of former Bosnian Serb army chief Ratko Mladic. Approximately 3,000 riot police have been deployed to the streets of the city. Baton-wielding police fought running battles with small groups of protesters who threw stones and bottles and set off firecrackers. 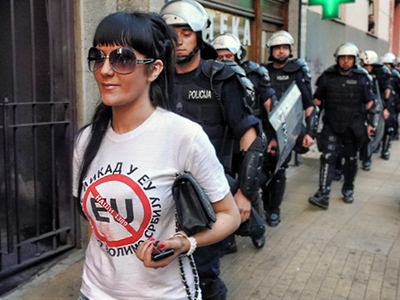 The unrest took place in several locations in the center of Belgrade on Sunday. There were no immediate reports of injuries or arrests, the Associated Press reported. 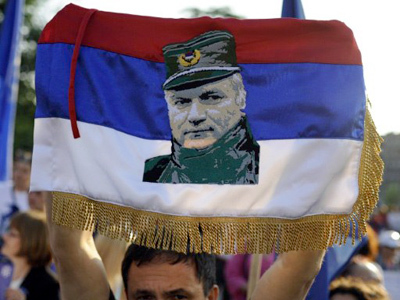 The rally was organized by Serbian far right groups, who consider Mladic a hero and his arrest treason. Activists were bused into Belgrade from all around the country. Riot police are on high alert fearing a repeat of the violence that broke out when former Serbian President Radovan Karadzic was arrested. 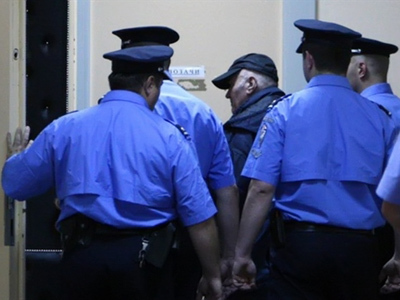 Following Mladic’s arrest, the government in Belgrade issued a ban on public gatherings. 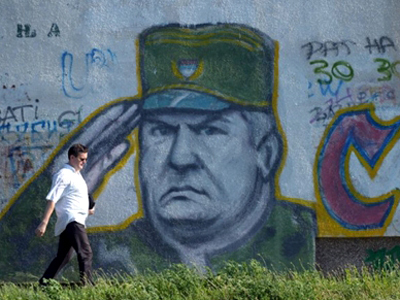 Belgrade has been the scene of violent gatherings before, and Serbian officials clearly want nothing to tarnish the handing over of Mladic to the Hague tribunal and its hoped-for impact on Serbia’s aspiration to join the European Union. Mladen Obradovic, a member of the Obraz nationalist movement, says that the vast majority of the Serbian people disagree with the country’s president, and that is why they are ready to protest. As for Serbia’s prospects for EU membership, Obradovic says his country will never become an EU member, because Brussels does not really want Serbia to join the club. 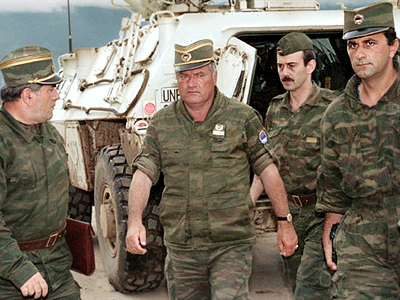 Obradovich stated that no one in Serbia believes Mladic will receive a fair trial in The Hague.